Leonie Haimson sent this to her listserve. If anyone has answers leave a comment and I'll forward them. Or email me. NYT story on the mediator’s decision below. I have so many questions about this whole matter still, which I would like people on the list to answer if they can. The turnaround plans of course made no sense in the first place to me but then most of what DOE does make little sense. The decision was a victory for the United Federation of Teachers and the Council of School Supervisors and Administrators. 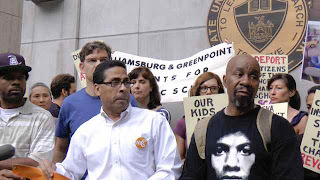 They argued that the plans to recast the 24 schools, known as turnaround schools, ran afoul of contracts and contrasted with more deliberative ways that city schools are usually phased out. 1. BUT is a phase –out really “more deliberative” or better in any sense? Or is it worse, meaning ALL the teachers at the phase-out school can ultimately be excessed, and ALL the students in schools like Robeson and Jamaica suffer the damaging effects as the school is phased-out, including fewer services and classes year to year as the death-watch continues? Also, as the “new” schools put in place of the phase out school exclude the sort of high-needs students in the original school, making the supposed “improvement” hard to judge – these same sort of at-risk kids are sent to other schools nearby, which then causes them to struggle and ultimately be shut down. Isn’t it better to keep the same kids in the building at least? If this strategy was merely an attack on the union in the first place, why didn’t DOE use the phase-out model for these schools? Is this still a possibility for the admin now? 2. Which leads me to this question: why did the DOE choose this version of “turnaround” rather than their usual “phase-out” – b/c of the fed funds in the SIG grants cannot be applied to phase-out schools? But Walcott said that even if they didn’t get SIG money they were intent on doing this anyway. 3. Or was the DOE prevented from choosing this model in the first place, because these 33 schools – now 24 schools -- many of them in Queens and at 100% utilization or more, are so vastly overcrowded and there are so few other large high schools left, the phase out model simply wouldn’t work? b/c as enrollment is reduced in these buildings at much lower levels, as the old school phases out and the new ones phase in (with enrollment capped at lower levels) there would be nowhere for the students who would have attended the original schools to go? The plans have included replacing all the principals, screening the existing staff and rehiring no more than 50 percent of it. Yet nearly from the beginning, Walcott and those in charge of this process at DOE have said there would be NO 50% quota for firing or rehiring. King’s decision last week in which he said he would allow the granting of the SIG money only if at least 50% of the staff was replaced seems to contradict the DOE assertions. So why did DOE insist otherwise? Was it b/c of the union contract that said at least 50% of the staff must be kept on? And if the idea was really to attack the union, what’s stopping the DOE from doing phase-out now? The idea as expressed above that this would cause even more chaos? Implications will be deep. Back later as blogs reverberate. The Department of Education has tried to “close” 24 schools and immediately re-open them under new names. An independent arbitrator has found that, for purposes of our contracts, the “new” schools that the DOE claims it is creating this way are in reality not new schools. As such, the DOE’s attempts to remove half the personnel in these schools are a violation of the school district’s contracts with the unions. Based on this decision, the current staff in these schools has the opportunity to remain there for the next school year, though those who have found new positions elsewhere are free to go to those new jobs if they choose. This decision is focused on the narrow issue of whether or not the mayor’s “new” schools are really new. The larger issue, however, is that the centerpiece of the DOE’s school improvement strategy — closing struggling schools — does not work. Parents, students and teachers need the DOE to come up with strategies to fix struggling schools rather than giving up on them. 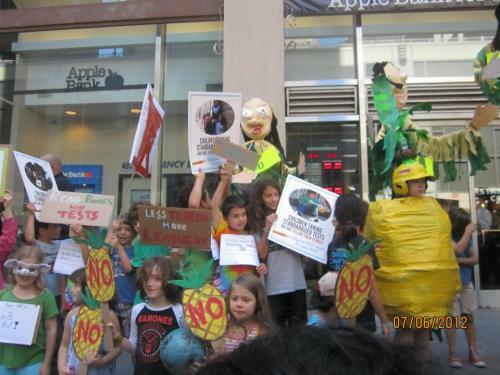 Join us at the 1-Year Anniversary Celebration of the Upper West Side community campaign to create a neighborhood that upholds ethical business practices. I was told about this event by a friend. My parents were both ILGW - my mom was an operator starting in 1920 and working until I was born and my dad was a presser through the early 1980's. This is more about sweatshop restaurants than the classic version of sweatshops but I am looking forward to checking it out. Come celebrate our victories and accomplishments, including Tomo Sushi, Shun Lee Palace, U Like Garden, Land Thai, V&T Pizzeria, as well as the Saigon Grill Boycott, the city-wide launch of the Domino's Pizza Boycott, and 60 small businesses that pledged to be "sweatshop free." Please consider donating to support the community's efforts! The Movement of Rank and File Educators (MORE), a caucus within the UFT, has endorsed the National Resolution/ on High Stakes Testing. 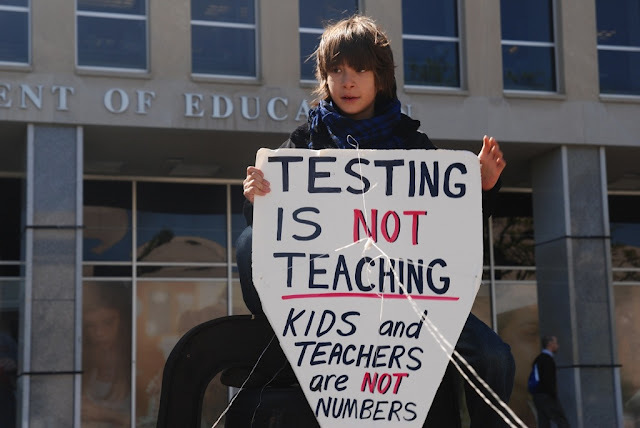 Of all the attacks and issues affecting educators, some might be surprised that the high stakes testing issue is causing a level of activism amongst the broadest swath of teachers. Why? Well, that is the issue affecting most teachers, even those not under direct personal attack. This is especially true of elementary school teachers, the group often considered the least militant group of teachers. Just the other day 2 teachers showed up to a Change the Stakes meeting pretty much out of the blue, fed up at how their teaching has been purloined. I should remind people that Ed Notes was taking these positions from the very beginning in 1996-7 and that was one of the issues that attracted people who eventually formed ICE in 2003. We were the only caucus to take on that issue and continued to do so through the 2004, 07, 10 UFT elections. 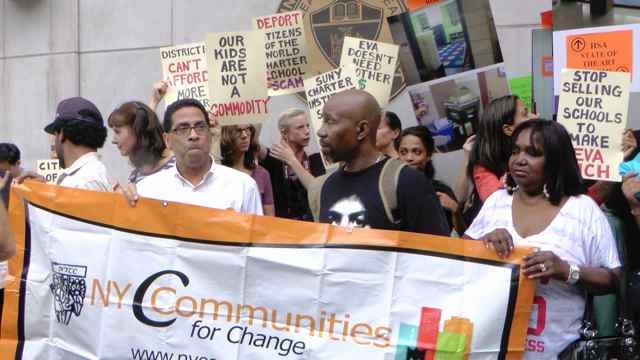 NYCORE also took on this issue and that was one of the points that brought ICE and them together, the foundation of GEM. You'll note that our movie goes beyond a simple critique of Waiting for Superman but takes the testing issue head on. So I am pleased to see that the new caucus, MORE, which combines elements of all the activist groups out there, has taken this position. ...among CTU members who voted, 98 percent said "yes" to strike authorization: That's 23,780 yes to 482 no. A preschool teacher in the Chicago Public Schools explains why she and thousands of her fellow teachers voted "yes" to authorizing a strike. Earlier this month, members of the Chicago Teachers Union (CTU) voted by a nearly 90 percent majority to give the union authorization to call a strike. Actually, around 8.5 percent of the union membership didn't vote, so they were counted as "no" votes. So among CTU members who voted, 98 percent said "yes" to strike authorization: That's 23,780 yes to 482 no. The overwhelming support for strike authorization seemed to confuse the Chicago Public Schools (CPS) CEO Jean-Claude Brizard, who likes to assure us that he loves and respects teachers as he destroys our schools and degrades our union. But the vote didn't come as a surprise to me. Here's why I voted, along with the vast majority my brothers and sisters in the CTU, an enthusiastic "yes" to strike authorization. Reason No. 1: As has happened to me every spring since 2008, I was warned by my boss in March that my preschool teaching position was threatened for the following school year due to budget cuts. As I have done every spring since 2008, I spent countless hours readying my resume and my teaching portfolio, combing the want ads, and annoying my colleagues looking for another job for this coming fall. With a son, a mortgage, very little savings and a job that I love and would grieve to loose, I tried to muster the enthusiasm necessary to hunt for another job while simultaneously remaining the kind of "super-teacher" that we're expected to be in order to maintain an evaluation rating that would allow us to be hired by another principal. In May, I was informed my job was safe, but my assistant teacher's wasn't. Due to budget cuts, she's being replaced with a cheaper, part-time version. Reason No. 2: May is supposed to be a wonderful month for preschool teachers: We ready our student's yearlong work portfolios and bask in the glow of their progress and reminisce about how far we've come. We go on field trips and have culminating projects that we enjoy sharing with our students and families. We look forward to summer break. We begin to say goodbye to the little people we've nurtured and loved and taught for the proceeding nine months. This May, I spent the entire month, as I have for the past three years, conducting a standardized test on my 4- and 5- year-old students to determine their "kindergarten readiness." It used to be that by virtue of turning 5 years old, you were deemed "kindergarten ready." Those days are over. In the name of accountability (which always seems to mean accountability for those with the least say-so), we have turned our schools into test-taking factories, with no child too young to be tested. Reason No. 3: The day before the strike vote, my school clerk stopped me in the hallway. He had an emergency letter from Jean-Claude Brizard that we had to distribute to parents informing them of why the strike vote was wrong thing for teachers to do and insulting our collective intelligence by claiming that our leadership hadn't informed us of what was at stake in our contract negotiations. The attempt by Brizard to turn parents against teachers was expected, his condescending tone familiar, but what was unheard-of was that the letter was translated into Spanish, Mandarin, Polish and Arabic. As a teacher of English Language Learners, I was dumbfounded. We can never--I repeat, NEVER!-- get materials or information translated into our students' home languages without doing it ourselves. Was this the proverbial final straw? No, I had already made up my mind to vote "yes" because I want dignity, respect and resources for what I do and for the students I teach. But it did underline to me that if they can so easily find the resources to drag us down, then they can be forced to find the resources to build up public education. Reason No. 4: The $5.2 million in TIF money the city council just handed to billionairess CPS board member and infamous union buster Penny Pritzker to build another Hyatt Hotel for her empire. Resources not there? Yeah, right. I voted "yes" because I have self-respect, and I was always taught (and teach) that when you stand up for yourself against bullies and liars, others will stand up with you. Well, the teachers are standing up. Will you join us? 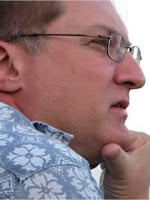 Testing expert Fred Smith on mainstream radio with John Gambling. He's a much better guest than the regular appearances of Bloomberg. Fred really gets in his points in a very effective way and Gambling seems suitably impressed. Fred is our stalwart from GEM's- Change the Stakes high stakes testing committee. Parents 4 Teachers helped translate our film into Spanish for Chicago parents. Should Arne Duncan be charged with murder in Chicago violence outbreak? Get CSI on the case. Activists have long charged that the murder increase in recent years was the direct result of the closing of schools and sending students across gang boundaries because of school closures. See latest front page article by Monica Davey in the New York Times about the murder rate increase. "Rate of Killings Rises 38 Percent in Chicago in 2012"
…The moribund test scores follow other less than enthusiastic findings about Renaissance 2010—that displaced students ended up mostly in other low performing schools and that mass closings led to youth violence as rival gang members ended up in the same classrooms. Together, they suggest the initiative hasn't lived up to its promise by this, its target year. 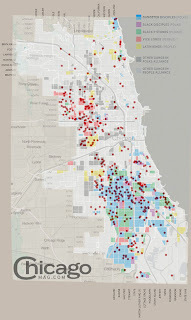 Read also the blog contribution by Yana Kunichoff at ChicagoNow.com, from March 2, 2012: "Are overlaps between school closings and youth violence a coincidence?" Just blocks from Carter's Barbershop in North Lawndale where The Chicago Reporter sets up camp for its weekly radio show are two schools on the turnaround and closure list voted on by the Chicago Board of Education last month. Thomas Herzl Elementary School, at 3711 W. Douglas Blvd., is slated for turnaround next year, and Julia Lathrop Elementary School, at 1440 S. Christiana Ave., will be closed. These schools aren't too different from most of the 17 schools on Chicago Public School's list of low-performing schools slated for an overhaul: They're heavily low-income, and most students are of one race. At Herzl, for example, 97.9 percent of the students come from households reporting income below the poverty line, and 98.3 percent are black. Meanwhile, these same neighborhoods see record amounts of youth violence. 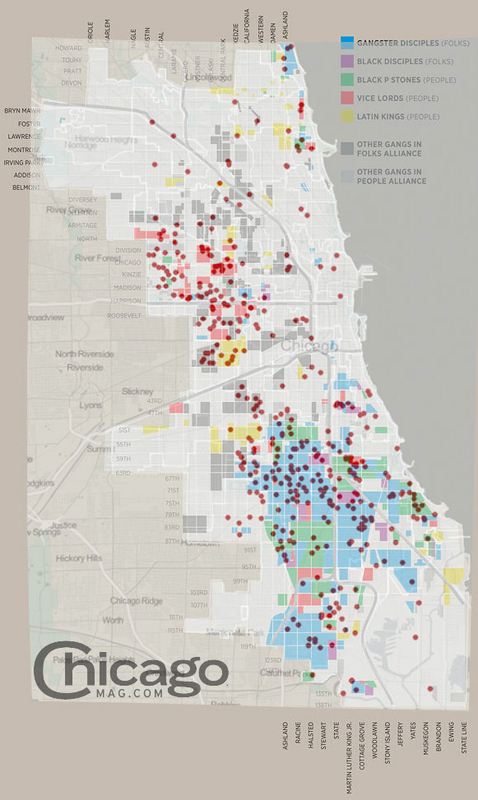 Twenty-two communities on Chicago's South, Southwest and West sides--where the school turnarounds and closures are based--saw nearly 80 percent of the city's youth homicides, according to a recent Reporter investigation. Coincidence? Research and reporting on the subject says probably not. Since 2005, thousands of students have been sent to schools outside their neighborhoods following school closures under Renaissance 2010, the education reform program launched by former Mayor Richard M. Daley. "Mr. Jeffries did indeed push the charter school issue in his first interview with reporters after accepting the Democratic nomination, saying that he hopes to “use the tax code if need be” to support parents’ decision to send their children to religious or other private schools. He also said he supports charter schools." Only 5% turned out to vote and clearly the numbers show that even if the UFT supported Barron it would not have made a difference. 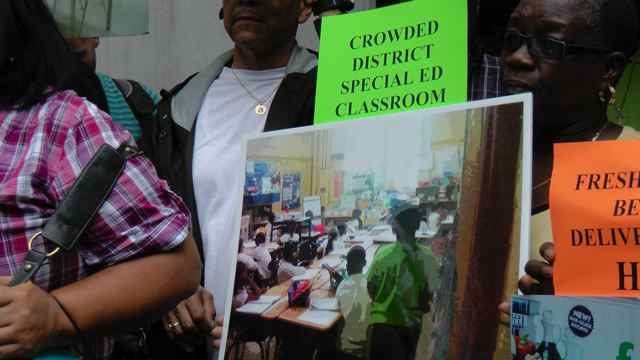 The UFT was "neutral" but there was a semi-glowing article in the NY Teacher favoring Jeffries. But as Mona points out this trend is a hit for public ed and teacher unions. "Assemblyman Hakeem Jeffries trounced Councilman Charles Barron in Tuesday’s Democratic primary for Congress — and promptly said that his main priorities would be helping homeowners at risk of foreclosure and, more controversially, using public money to support parochial and other private schools." Charles Barron didn't lose the race. PUBLIC Education lost today. Remember to say a BIG THANK YOU to the Working Families Party, community based organizations, education advocacy groups and all the unions that endorsed Jeffries for their great assistance in bringing vouchers to NYS! In the fall, MORE will be launching a petition campaign calling for the right for teachers to vote on the evaluation deal, and for escalating protests against the testing profiteers. If you like what you've read, please consider joining MORE. As students and teachers finish up the school year in sweltering heat, legislators in Albany closed their legislative session by passing a new law regarding the public release of teachers' performance evaluations. In reaction to the horrific episode in February, where teachers had erroneous ratings based on flawed data splashed across the pages of the New York City press, legislators extended a protection given to some other civil servants that would prevent work evaluations from being released under the Freedom of Information Act. Widely heralded as a victory for teachers both by the teacher union leadership and the antiunion press, this legislative move actually helps to usher in a new destructive era of standardized testing for our public school students. First of all, the legislation mandates that school districts must provide "conspicuous notice" to advise parents of their right to know their children's teachers' evaluation results. While the UFT claims that parents have always had this right, it was a very rare administrator that ever released teacher' performance information to parents. 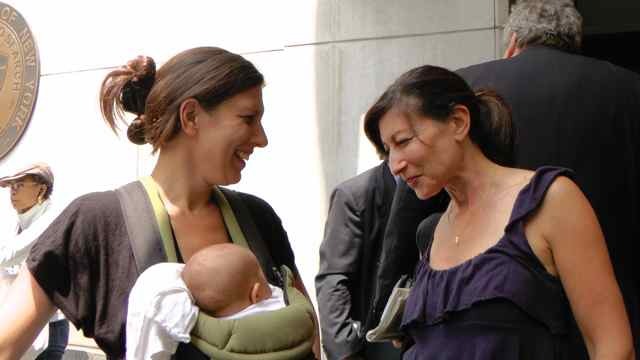 Now, Mayor Bloomberg has vowed to call every parent in New York City to make them aware that they can access this information. This will create a poisonous environment within schools, creating suspicion and dividing parents and teachers who are natural allies in the struggle for better schools for our students. Furthermore, the publicity surrounding the deal ignores the overall framework in which it is occurring, where teacher evaluations will soon be based in part on scores students receive on standardized tests. In a year where students have endured hours of expanded "field testing," error-filled exams, and nonsense questions about talking pineapples, we are now moving to an era where teachers livelihoods will be determined by growth and value-added models based on tests, which are unstable metrics that have been shown to vary wildly. Fortunately, there is a new voice in opposition to the politics of collusion on the part of union leaders that has brought us to this point. 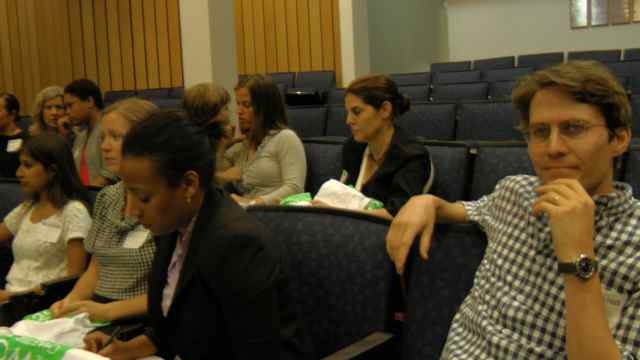 The recently formed Movement of Rank and File Educators (morecaucusnyc.org) in New York City is the social justice caucus of the UFT and force advocating within the union opposing "any teacher evaluations based on standardized tests." MORE has supported the boycott of parents of the Pearson field tests and taken a strong position against the evaluation framework agreed to by our union leadership in February, and endorsed the national resolution against standardized testingwhich has been ratified by hundreds of organizations around the country (although not the UFT leadership). Noah Gotbaum asks essential questions. Then note the section as I tried to follow 3 members of the SUNY Charter School Committee into the elevator as they met with Success Academy's Jenny Sedlis who asked for a private meeting, followed by some brief comments by Noah outside. Newly appointed chairman Joseph Belluck allowed the community to speak at the meeting, apparently something that has not happened before. 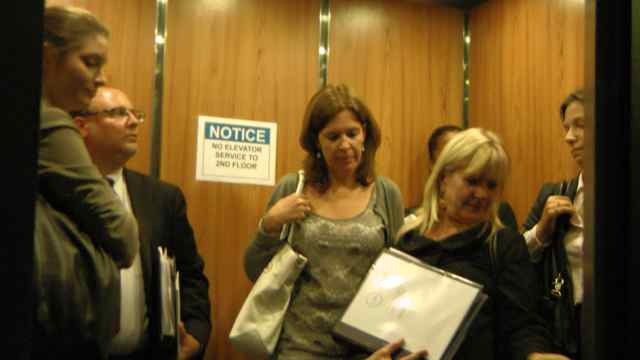 This was so embarrassing to Eva Moskowitz -- allowing public comment that exposes her scam -- her agent Jenny asked for a private post meeting meeting with Belluck -- maybe to whip him into line for the next time. He presented himself as a fair guy, but even if he is that won't last long as the rest of the committee is loaded with pro-charter people, as much of SUNY is. More video later --- Fios is being installed today so I may be down for some hours. Thanks to the hard work of David Bellel, the SUNY Charter webcast from yesterday is now archived. 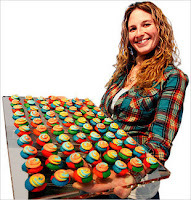 Sadly, as originally webcast, the sight and sound is not great and it doesn’t start until after Brooke Parker of WAGPOPs has given most of her brilliant presentation. But the best we have so far until Norm posts his video of what transpired yesterday. See below; the only mention I have found in media today of Eva’s victory yesterday of getting SUNY to approve 6 new schools to add to her empire & to grab even more space from public school buildings in Manhattan and Brooklyn (where even Walcott admits there is no room for them ) while her management fee is raised to 15% -- enabling her to divert even more taxpayer funds to lobbying, PR and her political operations where she can further expand her influence (not to mention her already inflated salary). 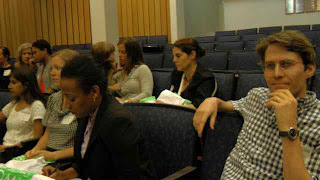 Meanwhile SUNY charter committee was told by the head of the SUNY charter institute at the meeting yesterday the fairy tale that they should go along with this, because the schools’ independent board “asked” to be able to give more money to Eva’s CMO, as though the members of the board weren’t handpicked by Eva. And after all, these schools have a surplus of $24 million – so why not? Finally, in an interesting sleight of hand, the SUNY charter committee gave over the authority to approve the fee increase to the Charter Institute, because the new chair of the committee, Joe Belluck, said he wasn’t ready to decide on this issue but obviously wasn’t ready to delay the vote while he informed himself on the issue more thoroughly. The full SUNY board gives all the authority over charter matters to the SUNY charter committee, which then leaves the decision-making up to the Charter Institute, where the staff continues to behave as they are a wholly-owned subsidiary of Charter Inc.
And when it comes to the most controversial issue of co-locations, Rossi tells the committee that they have no legal jurisdiction (even though the law says SUNY has to hold hearings on the subject of whether the space is “appropriate”) and that the siting of schools is merely the responsibility of DOE. Talk about passing the buck! Hopefully Powell will stay on the story; the NYT badly needs a critical eye on our schools now that Winerip has been taken off education and the other NYT ed reporters are all new to the beat and thus vulnerable to be taken in by DOE and the massively funded and staffed corporate reform PR spin. Karen Melendez-Hutt once presided over a fine success story. Early last decade, she became principal of Public School 30 in East Harlem, a school on the critical care list. Scores had spiraled downward. Families felt trapped. The end appeared in sight. She won grants to pull in counselors, and tutored children at lunchtime, during recess, on Saturdays. Test scores rose. The school earned A’s on progress reports. Then her staff proposed to renovate the playground, a vast expanse of asphalt fissured. The Manhattan borough president, Scott M. Stringer, gave $180,000 in 2010 for the renovation. “I called the Department of Education and said: ‘Isn’t this great? We got this money!’ ” she recalled. In retrospect, this was the moment the center of power — and money — began to shift decisively in this public school building. Eva S. Moskowitz, a former city councilwoman, is chief executive of Success Academy Charter Schools. One of her handsomely financed schools, Harlem Success Academy 2 Charter School, occupied the upper floor of the same building as P.S. 30. Another school, devoted to students with disabilities, also inhabits this building on East 128th Street. Ms. Moskowitz, as Type A and politically connected as any charter operator in the city, had convinced the City Council to allocate $875,000 to renovate the same playground. Although the Council speaker, Christine C. Quinn, says this money was intended for the playground for all three schools, Harlem Success Academy 2 quickly took ownership. Ms. Moskowitz is a brigadier in the charter school wars that could define the next mayoral election. Armies mass on either side. The teachers’ union, parent groups and the organization New York Communities for Change oppose charter expansion. Mayor Michael R. Bloomberg has sent a trusted aide, Micah C. Lasher, to work with the hedge-fund-backed group StudentsFirstNY to push expansion. To this end, she has formed a network of charters that, with strict discipline and unrelenting emphasis on high test scores, have posted impressive results. 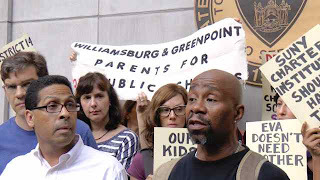 On Monday, the trustees of the State University of New York — which oversees charter schools — gave Ms. Moskowitz permission to open six new schools. And the trustees increased her network management fee to 15 percent, from 10 percent, which will infuse her quickly expanding empire with millions of dollars. Her pell-mell success exacts a toll. Teachers’ hours are brutal, from 7:30 a.m. to 5 p.m., with evenings devoted to marking homework. Teacher turnover at Harlem Success Academy 2 approached 40 percent last year. Ms. Moskowitz drives herself no less manically. She lists her salary as $379,478 and pegs her typical workweek at 70 hours. Say this for Ms. Moskowitz: Many students in poor neighborhoods have for years lacked quality schools; charters perhaps offer useful competition. She glories in comparing her schools with hapless public school cousins. “The nice thing about co-location is that you can put the schools under a microscope,” she says. Ms. Melendez-Hutt retired two years ago, and P.S. 30 has gone into a slide. It received a D grade last year, a fact that Ms. Moskowitz’s staff noted in e-mails and phone calls. 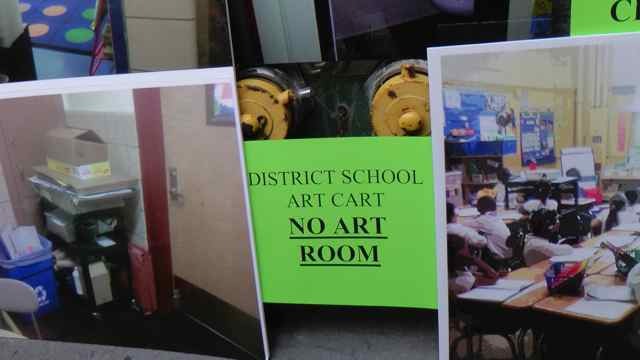 The staff also sent a comparison of test scores, and it contrasted Success Academy’s wood cubbies and carpeted classrooms with the dingier halls of the neighbor. In essence, I had an immersion in the same hard sell parents are given. Only nuance was missing. P.S. 30 students are distinctly poorer, and a far higher proportion receive special education. Its veteran staff members themselves outfitted a fine library with sofas and chairs. Then there’s that playground. A handsome soccer field with artificial turf dominates the yard, as Ms. Moskowitz desired. P.S. 30 obtained one of its four desired basketball courts, which occupies a corner near the door. 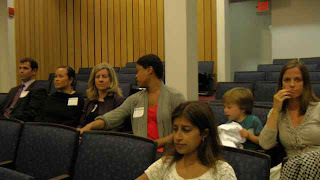 You may not know about Change the Stakes, a committee of GEM working to end the devastating use of high stakes testing. We have been busy for almost a year now and have felt as though we are part of the movement that is shifting the dialog, even if in small ways, around issues of testing. We are certainly part of a national movement. Please visit our website, sign our petition, "Like" us on Facebook and join our open forum. begin organizing for the 2012-2013 school year ahead. Even the offer of free drinks, appetizers, and mini-cupcakes by Baked by Melissa atop a rooftop hotel is not enough. Well, the E4E crew is escalating the prizes with bowling raffles and even Five Napkin Burger, which may be enough to get me to sign the pledge to give away all teacher rights. I love the "teacher voice" part --- as long as you don't disagree with E4E. I might even make it over there so Evan and Sydney can call hotel security to throw me out. 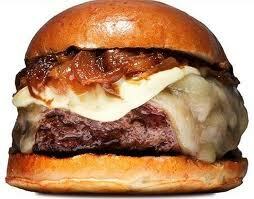 Or maybe send in my bunch of spies to start a food fight. This Wednesday, June 27th, head over to the rooftop of Hotel Chantelle for E4E's 2nd annual End of Year Celebration of Teacher Voice! Celebrate this year's successes with fellow teachers while enjoying beautiful summer weather, stunning views, complimentary drinks and appetizers, and mini-cupcakes by Baked by Melissa. Second Annual End of Year Celebration of Teacher Voice! Make sure to invite your friends and colleagues to join you by forwarding them this e-mail - the more the merrier! We hope to see you there! Eva Moskowitz, who runs Harlem Success Academy, will get extra $650 per-student fee. STATE UNIVERSITY of New York officials on Monday granted a hefty fee increase to the charter school company run by former City Councilwoman Eva Moskowitz. The SUNY Board’s Charter Schools Committee decided — without a vote — to allow Harlem Success Academy Charter Schools to increase its per-pupil fee from $1,350 to $2,000 to run charter schools in Harlem, the Bronx and Brooklyn. 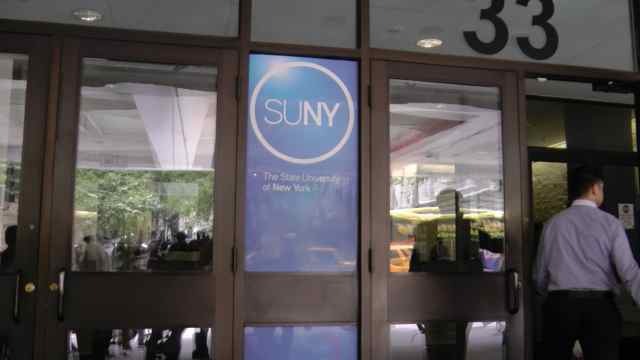 Committee Chairman Joseph Belluck said a vote was not needed because SUNY trustees had recently authorized the staff of its Charter Schools Institute to approve any management fee increases for charter schools. The fee increase will not cost taxpayers additional money, but rather give Moskowitz’s company a larger share of the state dollars already headed to the schools. Cynthia Proctor, a spokeswoman for the Charter Schools Institute, said the request was approved after a “rigorous” review determined it would not harm the fiscal health of the schools. Moskowitz has argued her network was running a financial “shortfall” and needed the fee increase to maintain its high level of service. Please sign and share far and wide!! "NYS Governor Andrew Cuomo; SUNY Board of Trustees, NYS Board of Regents: Stop catering to Charter Schools and harming public school children.."
Here are some pics I took. Video later. Thanks to reporters Jeff Coen and Noreen S. Ahmed-Ullah for their excellent piece in Today's Trib, "Emanuel allies press attack in teachers union battle." It confirms everything I wrote Monday about David Axelrod's old firm AKPD being the architect of the lying anti-union ad campaign now being played on local radio in Chicago. More importantly, the Trib report shows that despite denials and evasions, the mayor has knowingly and unabashedly supported the anti-union campaign which is being run by his own political operatives like AKPD's John Kupper. Kupper admits his firm is on retainer with Emanuel's political organization, and state records show The Chicago Committee, one of Emanuel's campaign fundraising organizations, paid Axelrod's old firm more than $21,000 in the first quarter of 2012 for "professional services/consulting." Officials at Democrats for Education Reform said the group's Illinois state director, Rebeca Nieves Huffman, also has not talked to Emanuel about the ads and "doesn't coordinate with him." In May the mayor was photographed with Huffman at a school reform summit in California, but Huffman spokeswoman Megan Jacobs characterized that as a chance encounter. The two Trib reporters also shine a light on Emanuel political operative Greg Goldner (behind Rahm's use of paid protesters) and billionaire backers Penny Pritzker and Bruce Rauner. Emanuel's emphasis on schools fits with the long-held agenda of a number of his wealthiest political supporters. They include Penny Pritzker, now a member of the Board of Education, and venture capitalist Bruce Rauner, whose wife, Diana, an early education expert, served on Emanuel's transition team. Rauner was instrumental in bringing the reform group Stand for Children to Illinois. That organization helped pass the law setting a higher bar for a teachers' strike and also has criticized the teachers union for taking the strike authorization vote. Good going Jeff and Noreen. to celebrate this as a win, is akin to the South declaring a victory during a skirmish in the closing days of the Civil War. This isn’t a win, it’s a tourniquet. It may stop the bleeding temporarily, but once gangrene sets in we’re doomed. This blog by Opine I will is worth cross posting because it addresses my favorite topic, the actions of our union leaders. The link is: http://rlratto.wordpress.com/2012/06/24/another-nice-mess-youve-got-us-into/. I hope this guy teaches in NYC and joins up with MORE. Look at the list of "wins." Another nice mess you’ve got us into.. Nothing could be more fitting, than Ollie’s words when I look at the predicament teachers all across New York State are in right now. Who are they kidding?? Teacher’s all across the state are suppose to celebrate legislation that allow, evaluations based on junk science, and may determine their future livelihoods, to be released to parents as a good thing? Let’s keep in mind, this legislation was quickly negotiated to fix a much greater threat. The courts already declared that these evaluations can be released to the media, and something needed to be done. So in that light, it could have been much worse. But to celebrate this as a win, is akin to the South declaring a victory during a skirmish in the closing days of the Civil War. This isn’t a win, it’s a tourniquet. It may stop the bleeding temporarily, but once gangrene sets in we’re doomed. The way I look at it, our unions (we) negotiated ourselves into this nice mess.We negotiated a deal that allowed teachers to be evaluated using junk science. Even though there is no evidence that supports Value Added Measures as a means of calculating teacher effectiveness, we agreed to it. We negotiated rubrics that will be used in teacher evaluations, yet many of these rubrics are untested. We agreed to test and re-test models to measure our own effectiveness. We stood by, while our students were subjected to 90 hours of testing. We’re embracing the Common Core Standards as a means to magically make our students college and career ready. We dare not exclaim Race to the Top, is really a race to nowhere, because politically we must remain loyal until November. We stand by while charters eat away at public education, and even at times support our own charter schools. So here we are, standing arm in arm with Governor Cuomo, praising his acumen in negotiating this deal. Forgetting that his tax cap policies have caused thousand of teachers all across the state to lose their jobs. Forgetting that his education commissioner is a pro charter advocate. Forgetting that his flawed teacher evaluation plan is nothing more than an attempt to circumvent tenure. Here we are standing there. Yeah, another nice mess you got us into!